Give your kitchen the perfect amount of light to light up the room without giving up your privacy with the Elrene Home Fashions Hemstitched Kitchen Curtains. These curtains are made out of 100 percent polyester, making them both durable and easy to clean. The included rod pocket makes them easy to install. 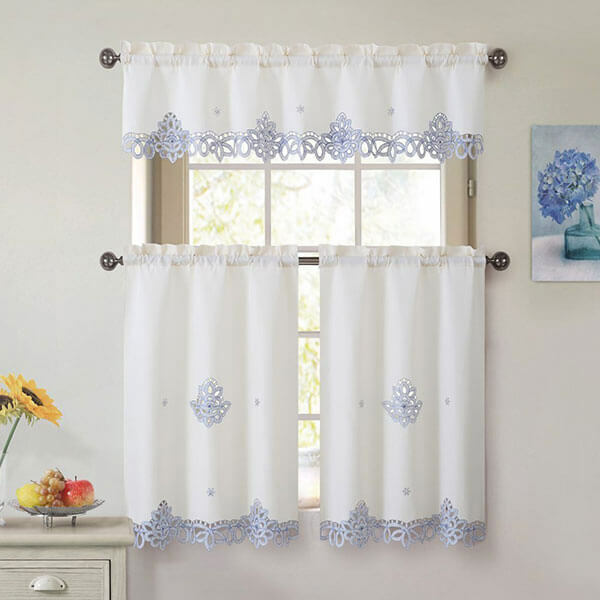 White and royal blue, the Royal Embroidery Kitchen Curtain Set is a beautiful set of embroidered kitchen curtains that let in just the right amount of light. They are made from 100 percent polyester and feature a white curtain with blue embroidery detail at the trim and in the center. 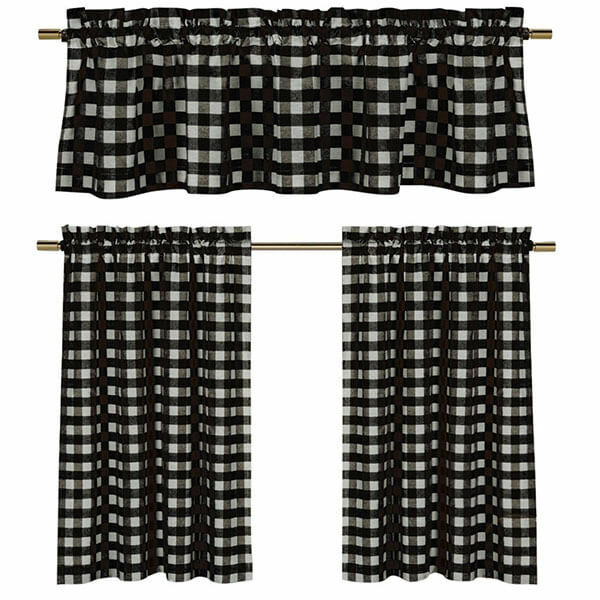 Turn your kitchen into the country chic room you dream of with the Plaid Country Chic Cotton Blend Kitchen Curtain Set. A two-tier curtain set, these curtains are made out of 35 percent cotton and 65 percent polyester to ensure their softness, ease of maintenance and durability. 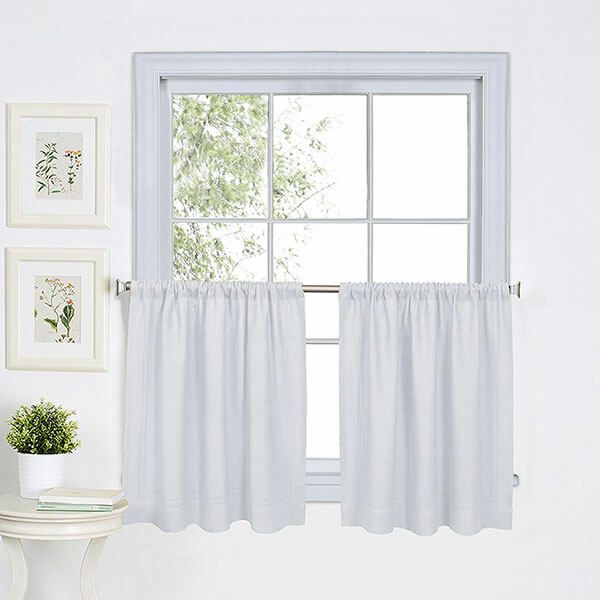 Light blue and airy, the Maison Shabby Trellis Cotton Blend Kitchen Curtain Set is the perfect way to turn your kitchen into a chic place to cook. This curtain set is made out of 65 percent polyester and 35 percent cotton, making them long lasting and easy to clean. 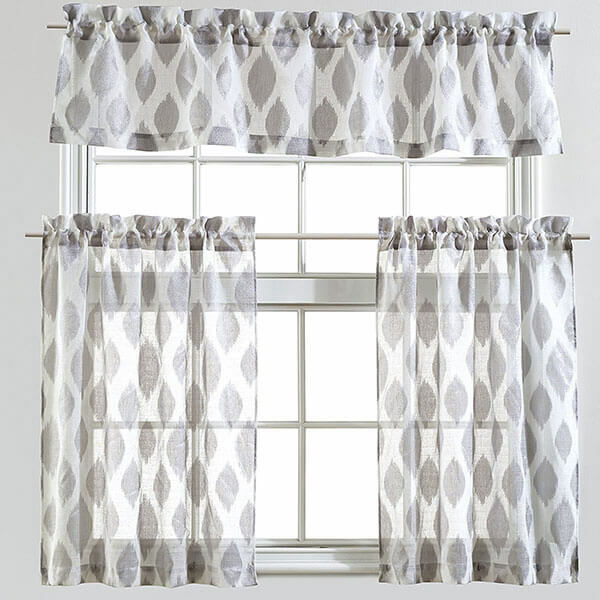 The Mysky Home Fashion 3 Pieces Jacquard Kitchen Set is a lightly colored gray and white curtain set that can match any of the décor already in your kitchen. Made out of 100 percent polyester, these curtains are simple to clean and simple to install with the rod pocket. Tier Dimensions: 28 in. x 36 in. 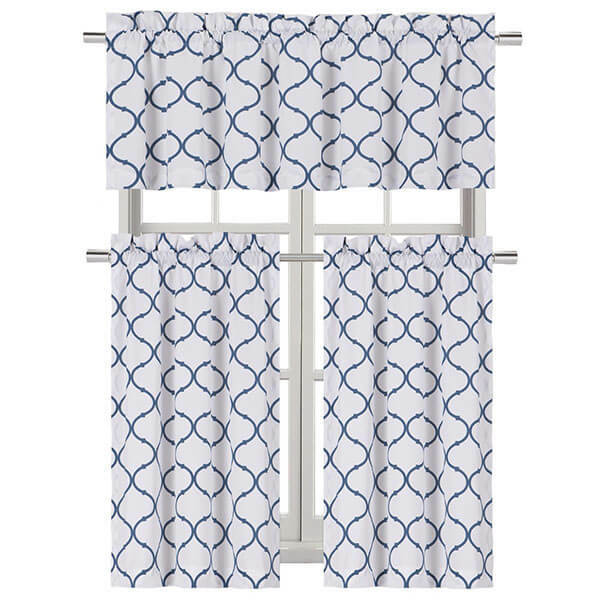 The Regal Home Collections Shabby Trellis Kitchen Curtain Set offers a coastal appeal to your kitchen with its white and blue patterns. 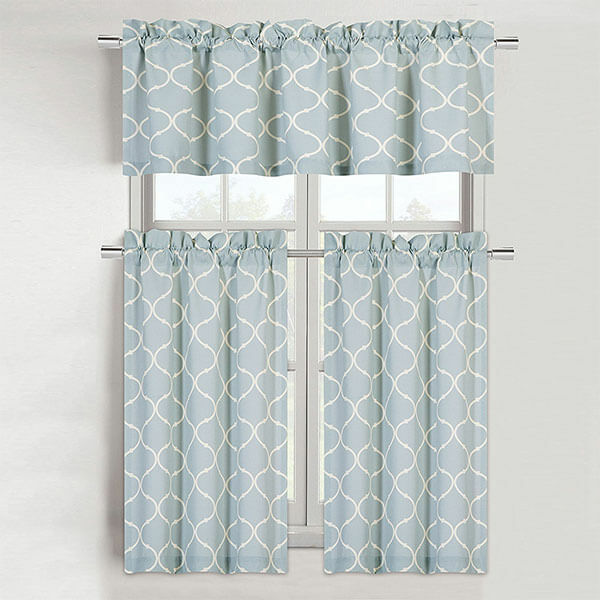 This curtain set comes with a tier and valance that are both made out of 65 percent polyester and 35 percent cotton. They are machine washable.